This 55,574-acre ranch ranks as one of the Aloha State’s largest and encompasses more than one-third of Hawaii’s fifth-largest island, Molokai. Assets include two hotels, two golf courses, and more than 48,000 acres of agricultural land. Listed by Scott Carvill and Vicki Yu of Carvill Sotheby’s International Realty. Boone Pickens’ 100-square-mile masterpiece has been deemed “arguably the finest quail hunting spot known in the universe” and includes its own 6,000-foot, FAA-approved airstrip and a 25,000-square-foot hangar. Listed by Monte Lyons of Hall and Hall and Sam Middleton of Chas S. Middleton & Son. Owned by Alcoa, this 33,777-acre property possesses a sea of water rights, including 14 lakes. Bernard Uechtritz of Briggs Freeman Sotheby’s International Real Estate has the listing. Discovery Channel creator John Hendricks’s 6,900-acre ranch straddles the Colorado–Utah line outside of Gateway, Colorado. Kerry Endsley with LIV Sotheby’s International Realty has the listing, which includes stunning Unaweep Canyon. Originally listed for $195 million, the Ziff family’s South Florida compound features 1,200 feet of Atlantic Ocean frontage and about 1,300 feet on the Intracoastal Waterway. Listed with Todd Peter and Christina Condon of Sotheby’s International Realty. 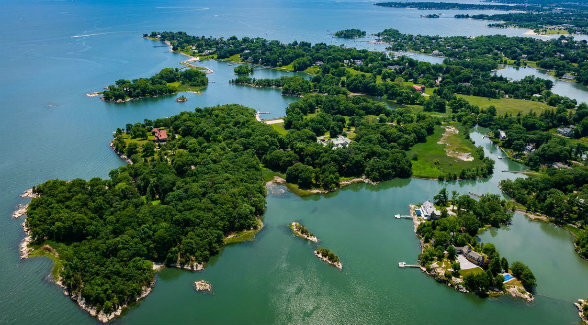 This 63-acre island has more than a mile of Long Island Sound frontage as well as more than 13,000 square feet of improvements including a nine-bedroom manor house and a 19th century farmhouse. Listed by David Turner of Houlihan Lawrence. These 1,800 acres just west of Santa Barbara encompass more than two miles of Pacific Ocean frontage. Listed with Kerry Mormann of Berkshire Hathaway HomeServices and Anthony Punnett of Douglas Elliman Real Estate. With 56,050 deeded acres and 168,000 leased, this Northern Colorado ranch stretches over four counties and is home to the largest elk herd in North America. Located 45 minutes from Steamboat Springs. Listed with Ken Mirr of Mirr Ranch Group. Surrounded by millions of acres of national forest and BLM land, this cattle ranch carries 1,200 animal units and includes 1,200 acres of pivot irrigation and 2,000 acres of flood irrigation. Listed by Ed Swinford and Brent Rimel with Slifer Smith & Frampton. 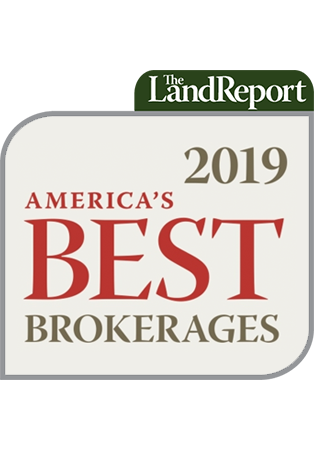 Located where the Texas Hill Country meets the Edwards Plateau, these 17, 132 acres rank as one of the most significant live water ranches on the market in the Lone Star State today. Listed by Howard Hood with Hood Real Estate.